The cabinet has approved amendments to the draft foreclosures bill that protects primary homes from repossession if the owner can prove lack of income or any other asset, thereby safeguarding low-income families. THE CABINET approved on Wednesday the amendments to the bill that were considered after pressure from all stakeholders, including political parties, property developers and home-owners, who wanted certain safeguards to be introduced, despite the Troika’s insistence of harsher measures to ensure than banks could recover assets or auction properties to pay down non-performing loans. The primary home (ie. the owner is proven to be living there permanently) has been safeguarded only when the owner can prove lack of income or any other asset, thus ensuring low-income families do not lose the roof over their heads. The new bill says that lenders can auction or sell mortgaged properties without the involvement of state services, even though the two parties may also resort to the Land Surveys Department, that so far had the exclusive right to sell or auction. The sale will begin 90 days after the last due payment (up from the present 30 days), during which time the property owner may seek to restructure the debt or ask for mediation, or even resort to the courts over credit facility disputes, during which time the foreclosure process is suspended. After the 90 days, the lender must notify the owner to settle the outstanding amount or foreclose, with a further 30 days allowed to dispute the action. If the property owner does not conform, the lender will notify of a date of auction, at least 30 days advance of that date, when the owner may once again dispute the final action in court if the terms of the mortgage have been violated, the owner was not notified properly, the notice was issued prior to the expiration of the due date of last payment, or if there is any other outstanding court case. The lender must give ten days’ notice to appoint a property valuer to assess the sale price of the mortgaged property and then appoint a second valuer. The two, and independent of each other, must then deliver their valuation to the property owner and lender within 30 days. If the difference between the two does not exceed 25%, then the sale value is determined by the average of the two. If the difference exceeds 25% then, within five days, the lender must ask the Technical Chamber ETEK to appoint a third valuer who, within a further 30 days, must submit his own assessment. The sale price will be the average of the two median prices of the three valuations. The initial sale is conducted by the lender only by auction which determines the reserve price as 80% of the property’s value and no less. If there is no interest, the lender may try again for up to three months by auction or direct sale, with the reserve price remaining at no less than 80% of the property’s value. If the property remains unsold, only then can the reserve price drop to 50% of the fair value for a period of nine months. The cycle may be repeated, but retaining a reserve price of no less than 50% of the fair value. The lender may buy the mortgaged property only after 12 months from the start of foreclosure. The whole process may be repeated every year until the property is sold. If the mortgaged property is the primary home, then the new bill will be applicable after January 1, 2015, when the credibility (credit ratings) law comes into force, which also provides for the protection of the primary home and a quick resolve of outstanding debts only in the case when the owner is proven not to have any income or other assets. Sparks are set to fly when the bill is discussed at a plenary session of parliament and put to a vote. Opposition parties are against the bill even though the release of next tranche of the island’s bailout is dependent on legislation being passed. AKEL wants the bill to protect small business premises as well as primary residences and EDEK has dismissed the bill outright. DIKO warned that it will not support the bill if it considers the protection provided to primary residences to be inadequate. @Julie on 2014/08/04 at 4:56 pm – I believe you would have had a ‘home loan’, not a mortgage. The developer acts as a guarantor to enable the bank to recover the property if you defaulted on your loan repayments. The bank will not chase him for any debt you may incur. What is the situation when there is a Cypriot guarantor for the property, i.e. does the Bank chase the guarantor for payments? We didn’t realise until very recently that when we were granted a mortgage in 2008, we apparently had to have a Cypriot guarantor which is the developer (one man band) of our house which is besieged with planning and title issues. I don’t know what progress has been made, but this situation should hopefully be resolved when the government introduces a new law at the beginning of next year. @George Georgiou on 2014/08/04 at 2:38 am – I’ve heard many rumours about money being moved to the Cayman Islands, Isle of Man, etc. as well as Switzerland. I don’t believe the banks will be able to seize a developers personal property (unless they’ve defaulted on their loan repayments) – it will be the company’s land banks and developments that have been mortgaged to the bank. I have a mortgage with the bank of Cyprus and back in February I said to them all the problems I have with the developer having anyplace on the land took out before I bought and now the developer has gone bust and a bank who since 2008 has had a order to to go after the land, now after many months of asking the BOC still can’t come up with a answer as they say they are looking at the legal aspects as I have asked them what happens if I lose the property if the bank takes the land with the property and what happens to the mortgage as I am not paying something I have not got, as the property is secured to the bank of Cyprus are they going to let another bank take it ? I want to buy. It’s going to be a bloodbath prices will plummet further. I feel for the people but developers personal properties should be targeted first then their Swiss bank accounts then the rest. sj on 2014/08/03 at 7:10 pm – I expect the bank will want to recover all the money that it is owed. Usually what happens when a property is disposed of by the lender, if the seller sells it for more than it is owed, the debtor will get the difference (less any expenses). But until the law has been agreed and published, I cannot say whether the bank pursue the debtor for the remaining loss. @Nigel – Where a home is not a primary residence, and a property is auctioned at 80% or 50%, will the bank chase the owner for the remaining loss ie 20% or 50%? @Pippa on 2014/08/01 at 5:15 pm – The bill (which has yet to voted into law) will make no difference to your situation. At the request of the troika, the government set up a task force to prepare a study assessing the magnitude of registered, but untitled, land sales contracts and underlying mortgages and to develop recommendations by end-June (2014). I don’t know if that study has been completed – we’ll have to wait for the next issue of the MoU. If the banks were to start repossessing properties that had been paid for in full, I’m certain there would be public outrage, protests and possibly riots. (Remember that there are many more Cypriots facing this problem than non-Cypriots). 2- Have paid for our property in full, but have no title deed. 3- However we have a developer who does have a NPL /unserviced loan etc. The property is not his primary residence but is ours, are we protected or not? The people that saved perhaps for their children’s education abroad saw their savings wiped out by the banks bad management of NPLs. Now the sensible people are going to be punished again. The holders of NPLs walk away having been given plenty of warning, the banks get the money they want and yet again the incompetent and virtually criminal walk away to carry on creating chaos and the EU send more people to get conned by the people “in charge”. Isn’t it what the EU (formerly The Common Market) is all about, making member states follow the rules. Cyprus is like Third World African Country.I do not understand why they were allowed to Join EU. What is European Union if they cannot Force Member Country to follow sensible Laws. I think European Union is in complete Mess. 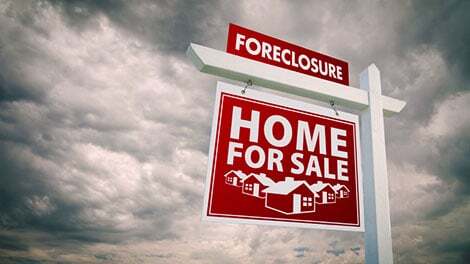 Peter Davis on 2014/07/31 at 11:06 am – This foreclosures bill protects the primary residences of those who cannot pay (not those who can pay) and will put pressure on those who can pay to cough up. According to the Central Bank non-performing loans on owner-occupied housing account for less than 15 per cent of all NPLs. Later this year a new insolvency framework will be introduced which is anticipated to include incentives for lenders and borrowers to reach agreements on loans. This should also include the protection of primary residences. Primary residences will only be protected until they’ve sold the rest of the villas off, then the banks will be after money. It’s a sound call at this stage, it reduces the number of properties on the market at one time, so as to maximize profits. Exactly Andrew, and I wouldn’t mind betting there is a current flurry of activity in terms of transfers of assets and equity between husbands/wives/children and offshore entities. As much as no-one would want to see anyone lose their home, in some cases sheer greed, image promotion and dreams of unimaginable profits has seduced some to live in what they so obviously cannot afford and never have been able to afford so protection in those cases is questionable as it is the taxpayer who will be underwriting all these costs. I see the courts becoming even more clogged than they are now with very healthy profits for lawyers and possibly defeating the object of the exercise. So if this comes into effect, why does the bank not before repossession value you the properties (for those who are in dispute with the CHF or the fact they were sold based on the golf course in Larnaca by the developer and a valuation carried out by the bank based on the golf) permit to offer those who are suffering and don’t want to lose there holiday homes nor deposit of up to 40% the chance to continue at 80% of the current market??? Again this makes no sense other than for those who just want to walk away and have nothing more to do with this country because of all this!! And people who have paid in full for their home, only to find a hidden developer mortgage. What will become of them?